You must be a member of the Amsterdam Outdoors Group to attend this activity. Would you like to join this group? Hi all - I am going on this ski and dance holiday again this year, I have been several times before because it's great! This year the chosen hotel is Club Med les Arcs. As well as Club Med offering included ski lessons, brilliant food and entertainment, the UK based (ie English speaking) Dance Action Holidays is including evening dance classes for their group of between 80 and Protected content . I'm not an expert in these dances but find them perfectly feasible at my beginner level and a great way to meet others in the group. It's apres ski without leaving the building! 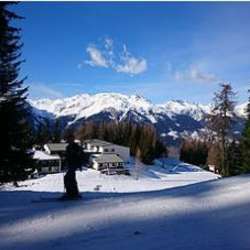 So - if you want to go skiing this offers a very sociable group to go with, plenty to do in the evening, included ESF ski lessons so you are never left to ski on your own or at the wrong level, on top of which you get all the fantastic Club Med facilities. Contact me to ask more and have a look at the website. The cost for the week (all inclusive meals in shared twin room) is Protected content , including ski lessons and ski pass!!!!! excluding flight. This is great value for a week's holiday given everything that's included. Dance Action Holidays is offering a transfer from Geneva airport at 11am on Sunday 27th Jan and there are several flights from Schiphol that arrive in good time for that.